There were two categories of promotional materials that were developed and utilized for the Sponsorship Program. • An illustrated formal presentation used to introduce the Prayer Garden Sponsorship program to the congregation. The purpose was to be ensure that everyone had an understanding of how the program would work and to encourage them to participate. • To view a slide show of the illustrations used in the presentation, click here. • Created in both English and Spanish. • Presented by the Pastor after all masses on both Saturday and Sunday of the weekend just prior to the celebration of the yearly anniversary of Our Lady of Guadalupe. • Announcements appeared on the church website and the church facebook page. • Material used to promote the Sponsorship Program on an on-going basis. The purpose was to remind everyone about the program and to motivate them to take action. 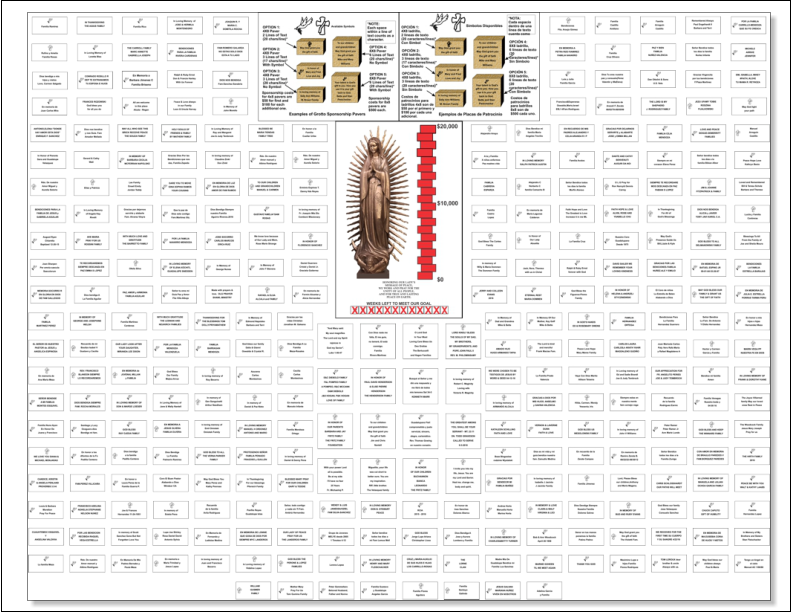 • Sponsorship Charts – A series of large charts (the first approximately 4’x5’ with subsequent smaller additions) providing a summary of the actual sponsorship bricks purchased to date by showing an array of images of each engraved brick. To view a composite chart including all of the 314 bricks sponsored in the sponsorship period, click here. • This growing chart was displayed in the front foyer of the church throughout the entire period of the fund raising portion of the Sponsorship Program. • A person who had already sponsored a brick could identify and “read” their brick, and persons who had not yet sponsored a brick could see what others had done. 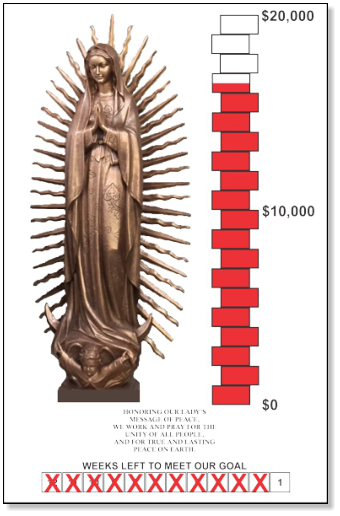 • Weekly Progress Posters – A series of posters with a picture of the actual bronze statue of Our Lady of Guadalupe, along with a “thermometer chart” that indicated the money that had been raised to-date toward the goal of $20,000. At the bottom of each poster, the number of weeks remaining in the sponsorship period was shown. To view an example from this poster series, click here. • Poster was updated each week. • Up-to-date copies of the poster were displayed in the front foyer of the church, as well as in the church office, the religious gift shop, and several other key locations. The poster was also displayed on the church website. 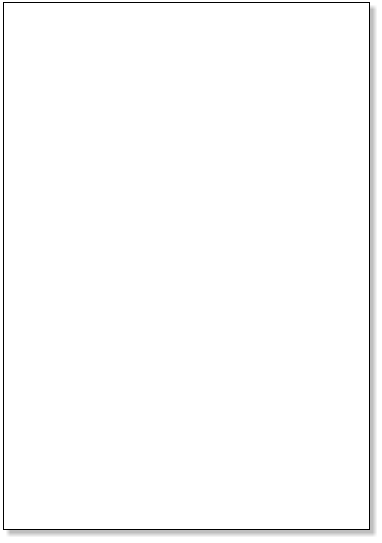 • Reminder announcements were periodically given at masses. 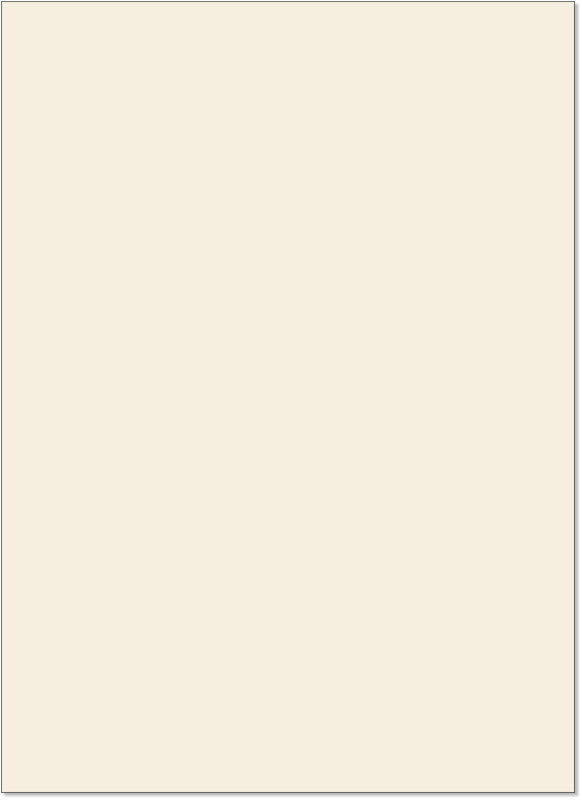 • Notices also periodically appeared in the church bulletin.